Leila even told said waitress at Cheesecake Factory that she wanted to hug her. The poor girl was almost in tears from the gesture. Leila is a one of one. She has the loving nature of my mom, my intelligence and awesome brown complexion and the weird food tendencies of her mom. Because of my crazy wife, Leila purports to be a vegan but somehow makes an exception for chicken fingers, burgers and pork chops. Leila has enriched my life beyond belief. Whenever I feel stressed about the daily nonsense that one has to deal with, all I need is a hug from Leila and everything is put in its proper perspective. Leila in Arabic means night beauty but to me its means unequivocal and all encompassing love. 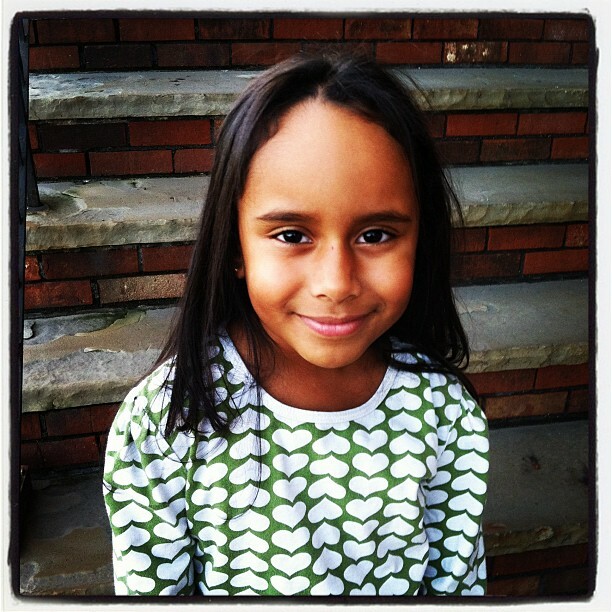 Happy Birthday Leila – I LOVE You! This entry was posted in Writings and tagged Daddydom, Daughters, Led Black, Leila by Led Black. Bookmark the permalink.